The Workbook pages provide additional practice to reinforce language and grammar presented in classroom lessons. A bound-in Audio CD allows the Workbook to be used at home, or in the classroom. Bold, beautiful and bursting with color! Packed with tools to learn! 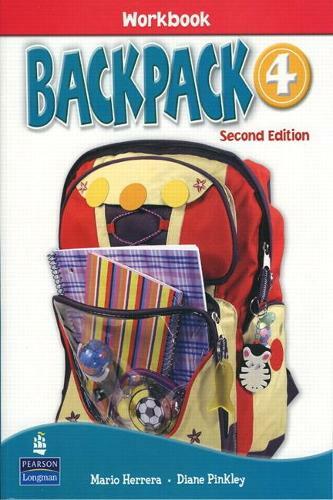 Backpack, brings to life a love of learning through songs and chants, stickers, and hands-on activities. Your students will want to speak English with Backpack and enjoy doing the fun-filled activities in the classroom! With seven levels, Backpack has a strong focus on grammar and writing and is packed with the latest trends and up to the minute technology, including Active Teach, for use in your classroom. From singing to games, your students will love learning with Backpack!